Milford Vascular Institute always appreciates feedback from our valued patients. To date, we're thrilled to have collected 30 reviews with an average rating of 4.87 out of 5 stars. 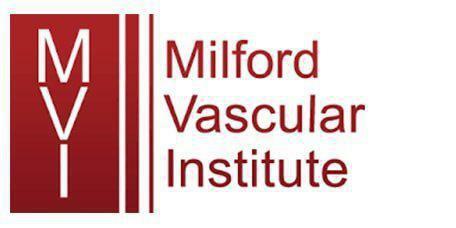 Please read what others are saying about Milford Vascular Institute below, and as always, we would love to collect your feedback. Great Doctor explains everything as she goes along to make you as comfortable as possible. Dr. Esposito explained everything in an understandable way and in no way pressured me into making a decision regarding having the procedure done. Staff was very professional. The staff is wonderful and Dr. Davis explained everything very clearly. It's been 3 years since my last visit and nothing has changed except for the location. Everyone very courteous, attentive and the Doctors very nice. Excellent Service, nice people and very professional. God Bless This Office!!!! Karin Augur is a fantastic PA-C. She's both professional and compassionate. Karen, Melissa, Mowie, & Rose are just wonderful people that make every visit a smooth experience. It's a great office willed with knowledgeable friendly people. I highly recommend this office and it's staff. Not only do I feel better, but my legs look great. Karen assessed my medical issue and came up with a prompt and intelligent plan to treat my varicose veins.